We believe “philanthropy” covers a much broader spectrum than just financial support. We are a grassroots organization built from collective, cooperative movement toward one goal – improving the community. This means that volunteers are as important as monetary donations! 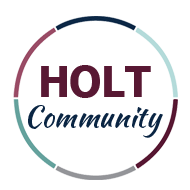 If you would like to promote the welfare of others with us, please consider volunteering or donating to the Holt Community Foundation today. We believe “community” exists in two interconnected forms – structural and cultural. Communities are groups of people who share something in common. Community members can have a structural connection like place of residence. For example, everyone who “lives in Holt” is part of the structural “Holt Community.” Community members can also have a cultural connection. We define culture as a shared set of norms, values, and beliefs. Our values are: education, environment, research, equity, arts and music. If you share our values then you are part of our community! The Holt Community Foundation was built on the philanthropic work done through the OMIA Foundation. Founded in 2007, the OMIA Foundation seeks to “Enhance the Lives of Students by Expanding the Scope of Learning.” The first board members of the Holt Community Foundation were highly involved with the OMIA Foundation but that work was limited to educational enrichment. Five individuals – Girdwood, Zerka, Hill, Bort, and Anderson – formed the Holt Community Foundation to extend the existing OMIA Foundation values to the rest of the Holt Community. Education: We support the Holt Public Schools and Holt Community Education! Environment: We support the Holt Community Garden Club! Research: We support the Holt-Delhi Historical Society! Health: We support Holt Rams Athletics! Arts & Music: We support the Holt Community Arts Council! Equity: We support Holt Community Connect! We think it is important that everyone know it is not difficult to file the paperwork necessary to establish a 501(c)(3) or “non-profit.” In fact, the United Stated government made it easier to apply for tax-exempt status in 2016. You can read more at any of the preceding links or click here. We will soon be building out our donor platform modeled after the University of Michigan.